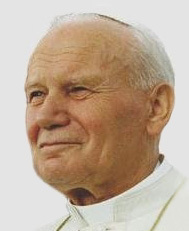 Beloved Pope John Paul II, already acclaimed “the Great” by so many, shaped the faith of millions of Catholics for whom he was the face and mind of the Church all during their formative years. With his beatification nearing, we are journeying together to a very special Lent. In addition to the graces of any Lenten season entered with a genuine longing for holiness, this Lent is shaping up to be a time of special reflection on the impact of John Paul II. That Toronto World Youth Day, coming on the heels of 9/11, coming at a time in his life when JPII was touching the world with his great witness to dignity in aged physical suffering, would forever etch itself into the hearts and minds of the participants. Throughout this Lent, for eight weeks, leading up to the beatification of JPII on May 1, Catholic Lane will join with Greg Schlueter in reliving WYD 2002 through the personal stories of eight people who were there, including several who subsequently became priests. Catholic Lane will bring you their stories and link to actual video footage of WYD 2002, culminating in footage from the Mass celebrated by JPII on July 28, 2002. We start with the first story, that of Fr. Rich Toohey, on Friday, March 11. We hope it will prompt your memories and you will share your own stories with us — of World Youth Days past, or of how JPII impacted you. This Lent, let’s celebrate together the legacy Pope John Paul II left us in the JPII generation.